I try to go as context-free with these panels as possible but there's something I must share with you about this panel. The name of that monstrosity? “Grandfather of all Walruses”. 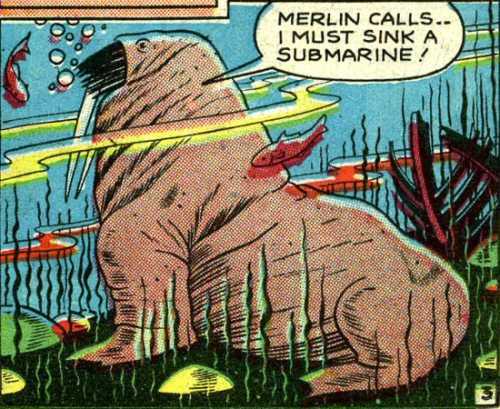 I'm pretty sure walruses don't actually live underwater. I do appreciate the shipwreck in the background, though. I guess he'll be adding that submarine to his collection.